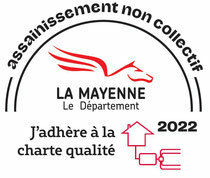 In France, all residential properties which are not connected to a public waste water system must have it’s own system for the purification of all waste water (toilets, kitchens, bathrooms and washing machines, etc). The installation of such a system of water purification is subject to approval by the local planning authority. The authority will only approve plans for a purification system if the request is accompanied by a technical report. - The frequency of use (number of occupants, full time habitation or holiday home). - Local conditions, such as available building space, soil type, the ground levels which affect water flow and also environmental constraints such as rivers and wells. - Your budget (supplying you with an estimate of building, maintenance and functional costs). Once you have made your decision as to which system you would prefer, CONDATIS waste management systems will produce a technical report and plans which will guarantee planning authority approval. Once approval is granted, you can call the construction company of your choice to carry out the building process. The approved plans will then be precisely followed. Once all construction has finished (1 or 2 days work), a local authority building inspector will check that the plans have been followed and will issue a certificate of approval. CONDATIS waste management systems was founded in 2001 and has already received approval for 2300 technical reports, all of which have been successfully carried out.